A good way to get involved in activities with your dog, meet a wide variety of people, and further your knowledge about dogs is to join a dog club. Most clubs are affiliated with the American Kennel Club and are involved in holding shows and matches. There are at least a few in every state, but sometimes these clubs can be difficult to locate. Because they are nonprofit organizations run by volunteers, most cannot afford a listing in the phone book. A list of AKC dog clubs is available on the AKC's Web site at akc.org. Not all dog clubs are affiliated with the AKC, however. Check with other dog lovers or your veterinarian to find other dog clubs in your area. 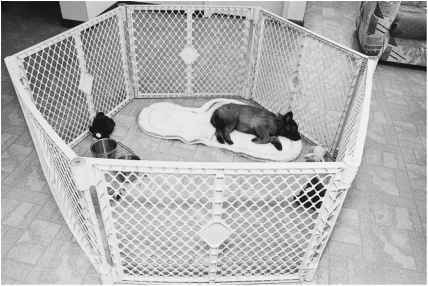 Dog clubs vary in their character and their activities. AKC clubs can be all-breed clubs that may or may not include obedience training in their activities, or they may be obedience clubs. Clubs that are devoted to a single breed are called specialty clubs. Other AKC clubs have their main interest in hunting dogs. As with any organization, some clubs are more welcoming to new members than others. All these clubs will be involved in putting on dog shows, matches, field trials, or hunting tests. In addition, they will probably have a variety of other activities. They may have monthly meetings that feature guest speakers or videotapes on dogs. They will probably have some social events, such as a Christmas party. Many AKC clubs hold handling or obedience classes. Some clubs give demonstrations at local shopping malls or county fairs, while others may sponsor seminars given by experts on some aspect of dogs. A favorite activity of the club I belong to is visiting nursing homes with our dogs. There are clubs that specialize in this. We give a brief obedience demonstration, then do something fun, like playing musical chairs or square dancing with our dogs. After our program, we walk the dogs around to visit the residents, who pet the dogs and often share stories of a dog they have owned in the past. The activities directors of the nursing homes tell us that these are the most popular programs of the year. The dogs (and their owners!) love showing off. Everyone gets something out of it, not the least of which is our sense of self-satisfaction. Whenever I have moved, one of the first things I have done is contact the local dog club. It has always been a great way to make new friends. The diversity of people who belong to dog clubs is fascinating. Through dog clubs, my dogs have been able to participate in a variety of activities that provide them with the mental stimulation they need. Besides joining in club activities, I have always managed to find someone who shares my love for hiking with the dogs. The people I have met have greatly enriched my life. Maybe joining a dog club can do that for you, too! Get All The Support And Guidance You Need To Be A Success At taking Care Of Your Dog. 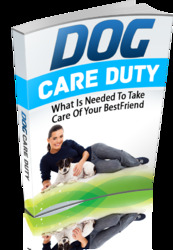 This Book Is One Of The Most Valuable Resources In The World When It Comes To What Is Needed To Take Care Of Your Best Friend.